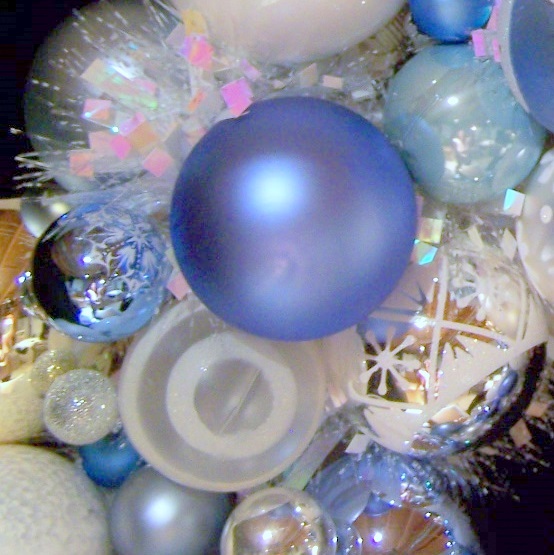 Silver, white and soft blue glass ornaments of multiple sizes are intertwined with white opalescent garland for a one-of-a-kind, brilliant decoration. A unique, fun winter accent. New and vintage glass ornaments, some with snowmen, snowflakes and geometric pattern flocking. Glittery like the moon on fresh snow! Approximately 16" diameter. Built in hanger. For indoor or covered outdoor display. 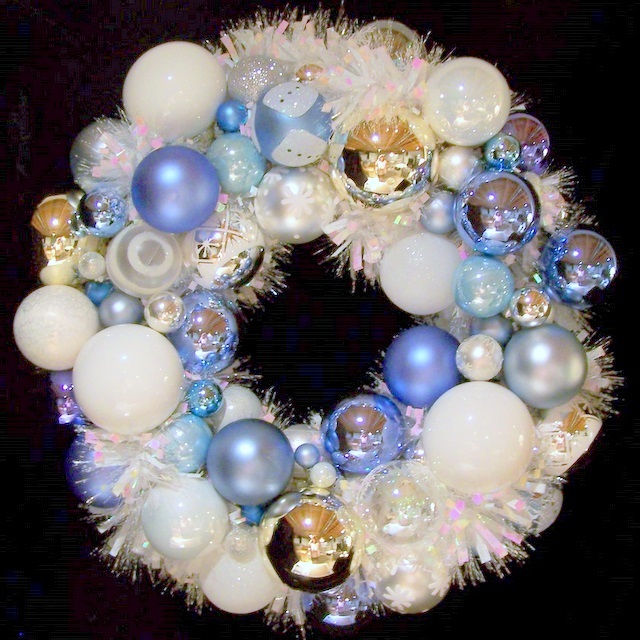 I specialize in incorporating your heirloom ornaments into a wreath or centerpiece that is uniquely yours! Contact me. Contact me to purchase or for more info.